Apple designed Siri to make life easier, but it can be completely use­­less if you don’t know how to take ad­­vantage of its talents. If you're patient, correct hiccups and tweak settings, Siri will become an effective assistant and maybe even your best friend, says CultofMac.com Editor and Publisher Leander Kahney, who offers these tips to turn Siri into a serious assistant. Fight your flight instinct. Don’t run away from Siri when you get frustrated. Make her a habit and launch her every time you start to type something into your iPhone. It might take a week or two, but eventually you’ll turn to her when you want to send an email or search for a contact and you’ll find that you’re saving time instead of wasting it. 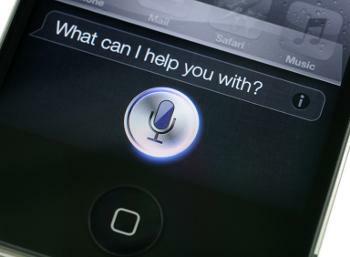 Turn on “Raise to Speak.” This feature is great for talking to Siri in a public place. When you raise your phone to your ear, her voice will talk to you through the earpiece instead of the speaker. To activate Raise to Speak, go to Settings>General>Siri and scroll down to the bottom. Tell her about your contacts. Siri really becomes useful when she knows about your relationships. Make sure names are already in your contacts, then tell Siri who they are to you — “Jane Doe is my boss.” Say “yes” when it asks you to confirm and then you simply have to ask Siri to text your boss next time you’re running 20 minutes late. Make Siri your calendar scheduler. Just tell her the who, what, when, where and why and skip all that typing. Nothing could be easier for setting up, canceling or changing your appointments. A simple query will tell you what’s on your calendar. — Adapted from “10 Siri Tricks to Help You Be Your Most Productive Self,” Leander Kahney, American Express Open Forum.